As you probably know, the DL-QRP-AG Ten Watt Push Pull PA is s not available any longer due to the obselete Bipolar Transsistors 2SC1971. Within the last 7 years several hundreds of them have been built all over the world. 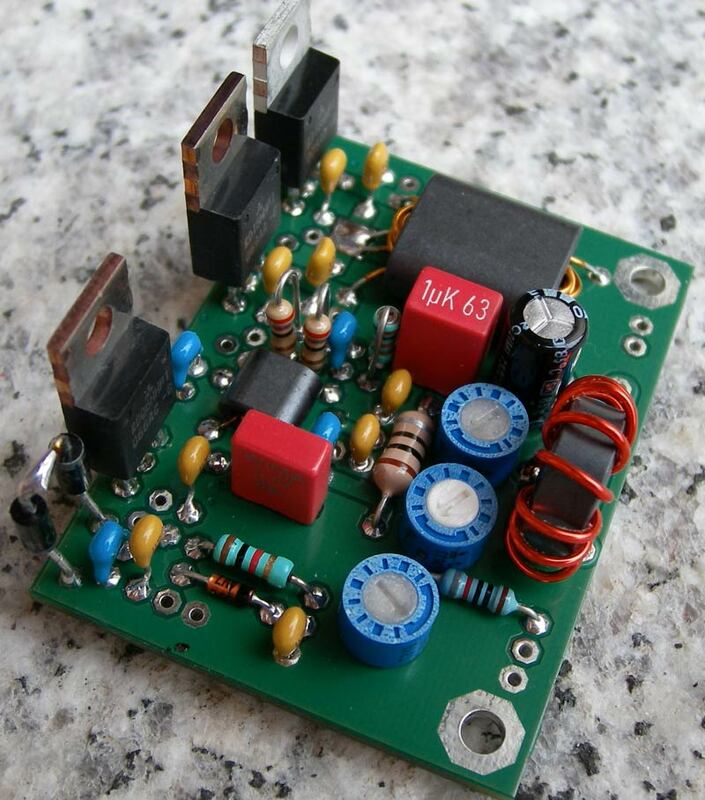 German QRP Club Desiger Peter, DK1HE hat has designed a follow up. It is based on the new Mitsubishi 12 Volt 30 MHz VMOS Family RDxxHFF. The new PA needs 10mW drive to produce a clean and linear amplified signal of 10 Watts RF. 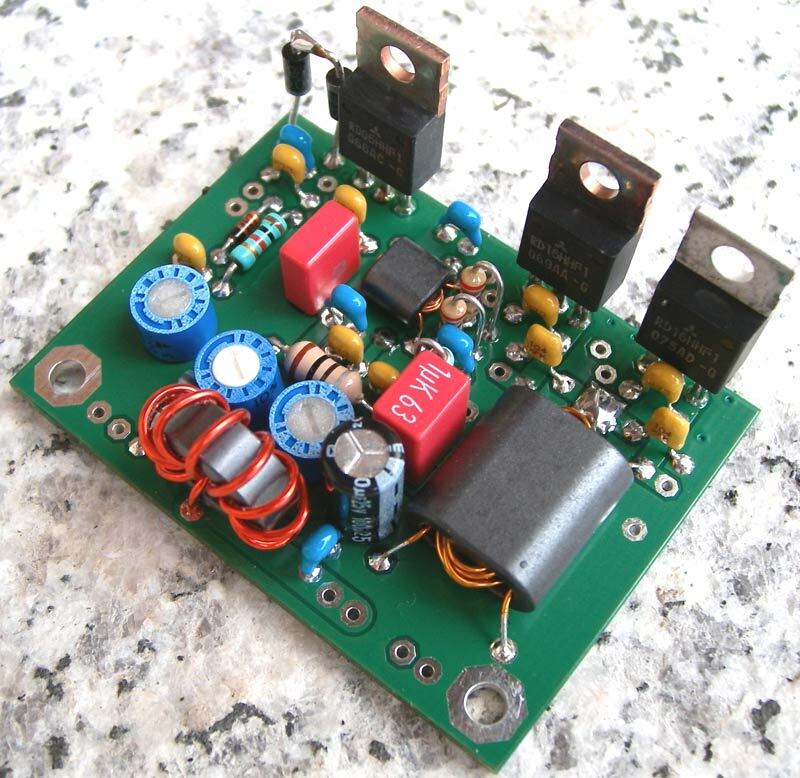 The VMOS we use could give us more the 15 Watt, but we desided to stay with the traditional 10 Watt boarder vor SSB QRP which also gives a more clean output by avoiding any overdriving. and a pair of RD16HHF as push pull PA.
Quiescent current is adjusted for any of the 3 single transistors which results in absolute stable working conditions. The PCB is as small as 55mm x 40mm, so it´s a good chance to fit into any homebrew project like standard transceivers or SDR. It is mounted on two metall standoffs, the 3 Transistors will be screwed to the backplane of the enclosure. A complete kit inculding a manual is available at QRP Shop or QRP Shop International. Preorders will be accepted starting July 10., shipment of kits will be started second week of August.